We are proud to present CS News’ article featuring Lesley Saitta. LEXINGTON, Ky. — In 1998, Lesley Saitta took her 15 years of work in the chemical industry, and several years working as vice president of marketing for Speedway LLC, and started the consulting company Impact 21 with her partner Lisa Stewart. Impact 21 predominately offers consulting for the convenience store industry, but also works with other retail segments, including foodservice and technology. Saitta has gained the reputation of “loyalty queen” over the years. Saitta holds a bachelor’s of science degree in marketing/management from Indiana University’s Kelley School of Business and an Executive MBA. After working at Dow Chemical and Ashland Chemical, and working with Speedway where she was responsible for marketing, branding, category management, foodservice, customer engagement, merchandising and distribution, she decided to take some time off. However, she began receiving calls from several CEOs of other companies asking if she could help them the way she did Speedway. That was the beginning of Impact 21. She is very involved in industry trade organizations, including NACS, the Network of Executive Women, and the National Retail Federation. She co-authored NACS’ Category Management Framework Basic and Advanced, and the online training program for both. “I was on the NACS Convention Committee for seven years, and was a track chair for several years. I have been on the NACS Supplier Committee for five years. I’ve also been a moderator and speaker at every NACS Show, and we do a lot with Conexxus,” she said. In fact, her favorite thing about the industry is its willingness to share. Many retailers in other channels don’t want to share what is working for them with others, but the convenience store industry is not that way at all — which is why those who get into the industry usually stay, she noted. Saitta has an “intense desire for learning,” and her current job allows her to do that. Her favorite thing about her role is offering the people who work for Impact 21 the ability to do what they love, while living where they want to live, with a group of people who enjoy working together. Her greatest accomplishment is building that team of 32 people so far. Her advice for other women is to accept as many jobs as they can to get the experience they need to be well-rounded. 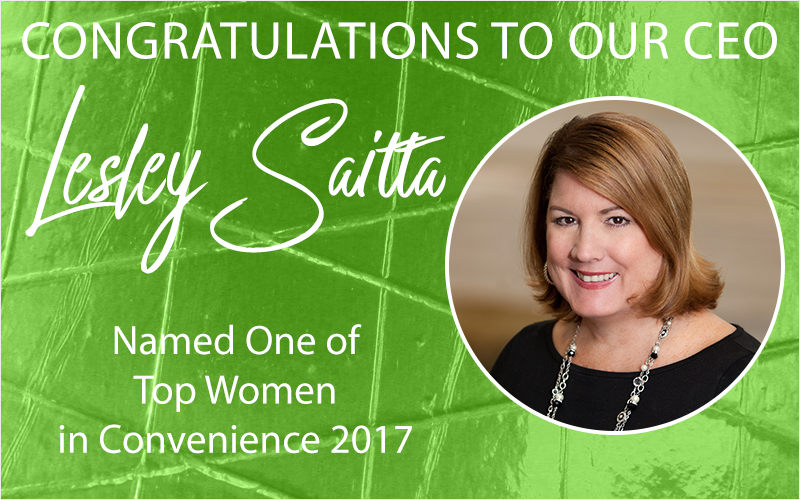 Saitta is one of five Women of the Year and among 50 female executives, managers and up-and-comers working in the convenience store industry who are being honored in the fourth-annual Convenience Store News Top Women in Convenience awards program this year. An awards reception will take place Wednesday, Oct. 18 in Chicago, coinciding with the 2017 NACS Show. Contributing Editor Tammy Mastroberte is an award-winning writer, with more than 16 years of experience in the magazine publishing industry. She writes on a variety of subjects, including retail technology. Mastroberte previously served as executive editor of EnsembleIQ’s Convenience Store News. Learn more about other nominated Top Women in Convenience at Convenience Store News.